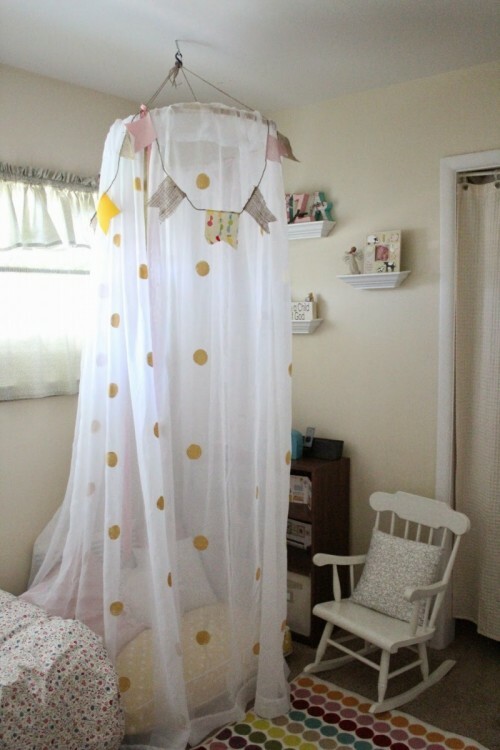 Everyone needs some cozy nook to relax, read, feel comfortable and enjoy being herself or himself, including your little ones. 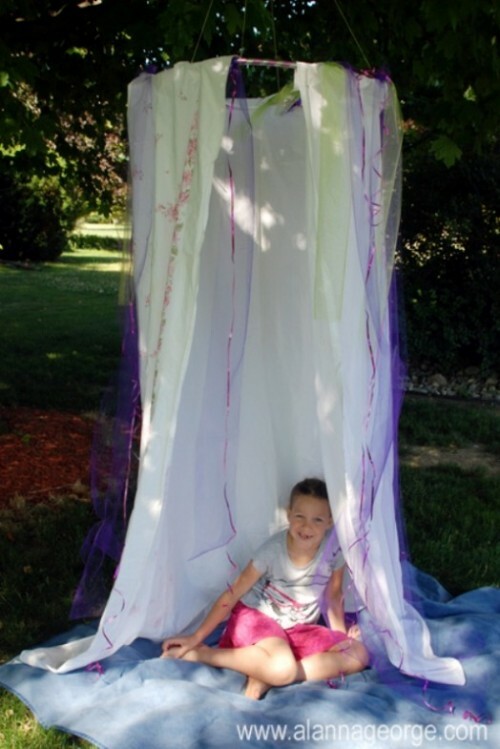 Make a cool and very easy canopy tent for him or her to keep some privacy! 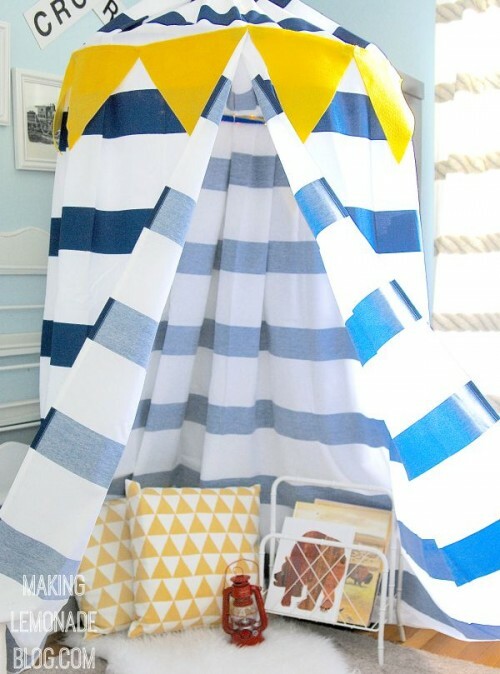 Most of such DIYs are even no sew – no fuss around! 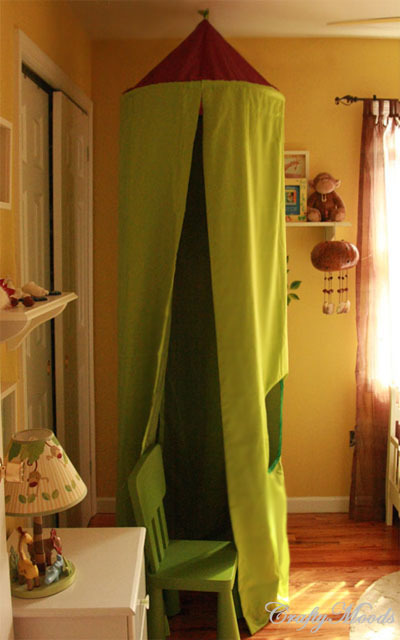 Prepare an embroidery hoop or a hula hoop as a base and then some fabric of your choice. 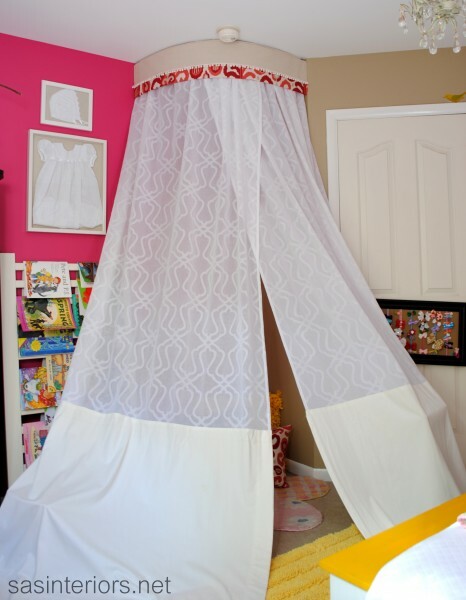 Attach the fabric to the hoop and then the whole construction to the ceiling and voila! 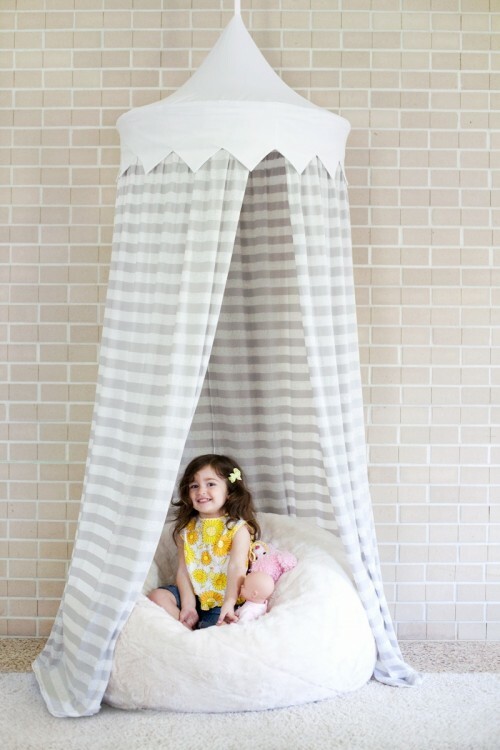 Place some cushions and maybe a lantern inside and your kid will be happy to spend some time in. 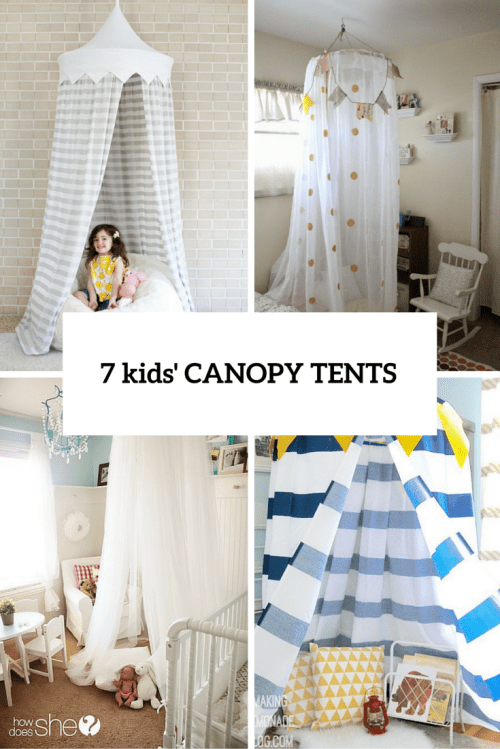 Such tents are also great for outdoors and for kids’ games, get inspired!